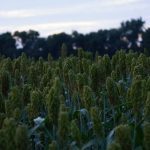 Pheasant Acres is a hybrid sorghum with heavy grain set for habitat. It is medium tall (5 ½ ft to 6 ½ ft.) with good stand-ability. 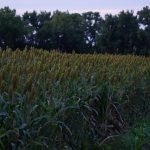 Pheasant Acres provides good cover for birds and is a very attractive as a food source in the fall and winter months. It has good seedling vigor for establishment. Planting Depth: 3/4 to 1 1/4 inch. If broadcasting, seed should be harrowed to provide seed soil contact.